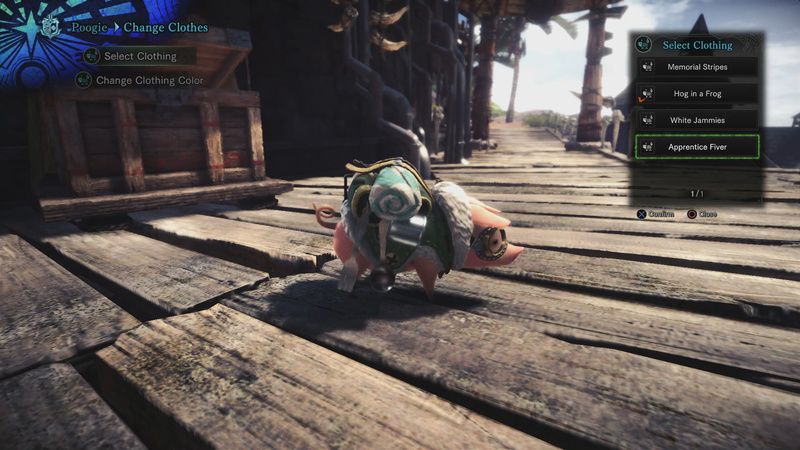 Poogie’s are a pig like creature in Monster Hunter World which serve as your pet. 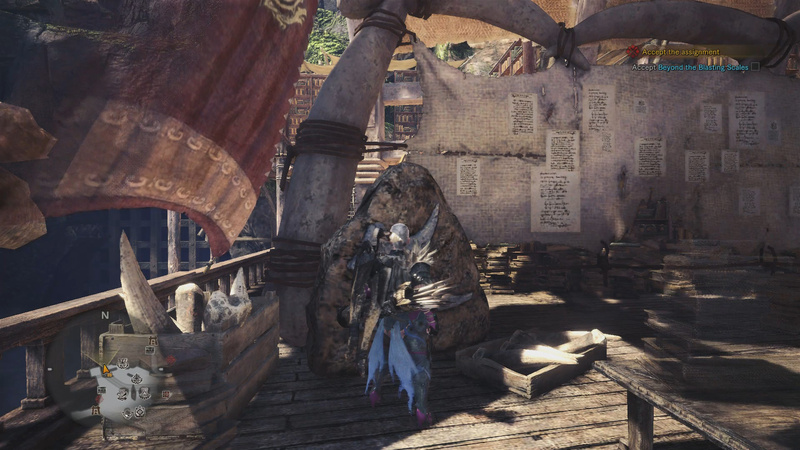 Your Poogie can be found in Astera (usually beside the Provision Stockpile), where you can interact with it by petting it, changing its clothes, or picking it up. 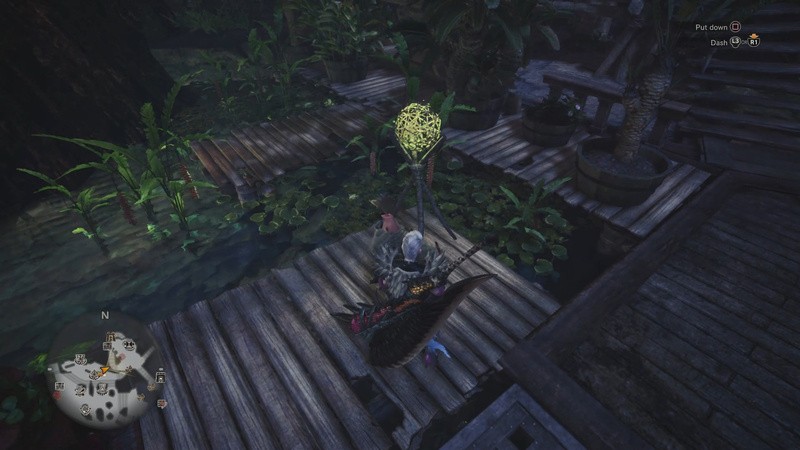 Once you’ve built a good enough relationship with your Poogie, you will be able to start picking it up to look for items. 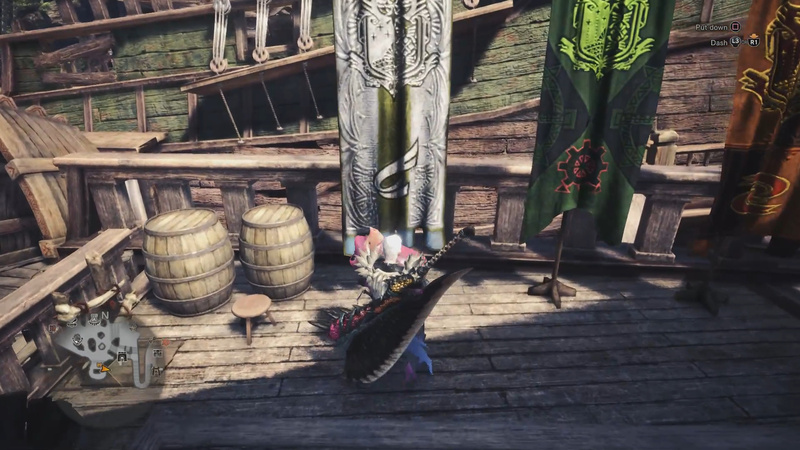 Some of the items are costumes the Poogie can wear. 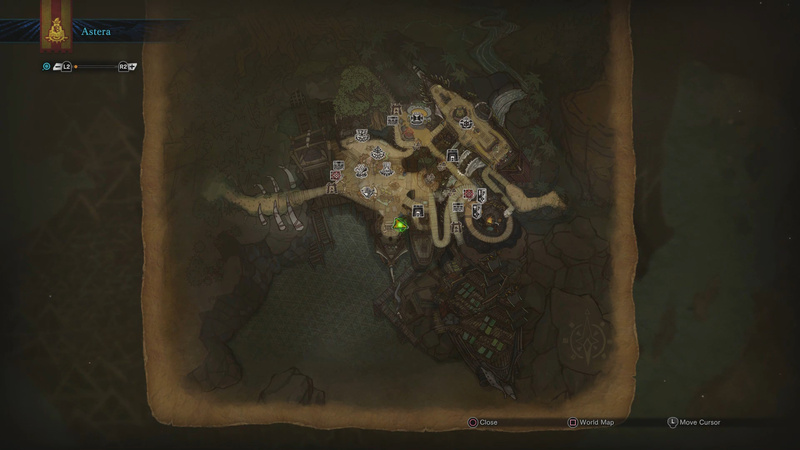 Below you will find all the Poogie costume locations in Monster Hunter World. Before being able to pickup your Poogie, you will need to build up a bit of a relationship with it. Basically all you need to do is pet it (stop as soon as the ! appears). 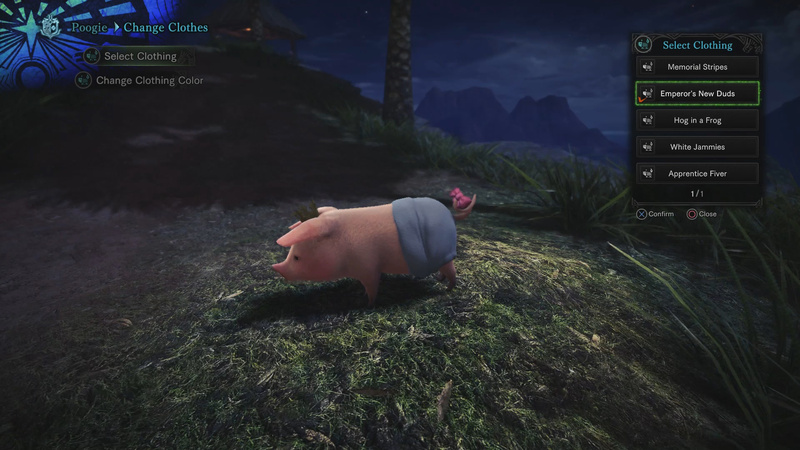 Do this every time you come back from a quest and eventually you will be able to pick your Poogie up and have it find items and costumes for you. 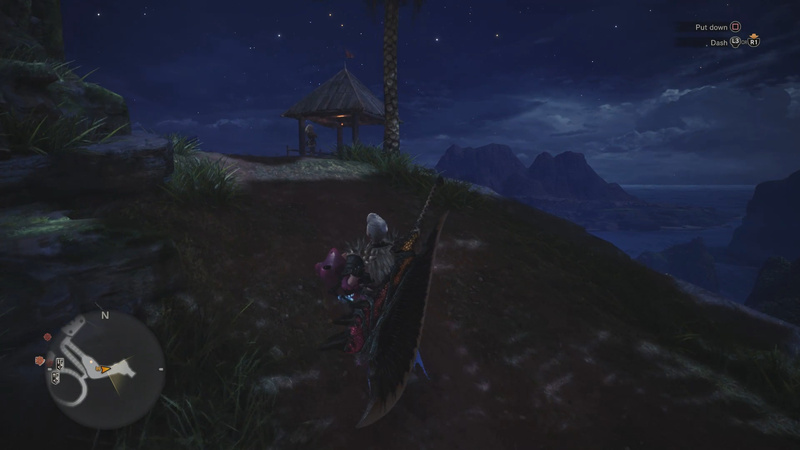 To find things, simple pick up your Poogie and walk around Astera. Poogie will give visual feedback indicating it found a spot (wiggles) along with vibration feedback (on a controller if it supports it). When Poogie indicates there is an item, simple put it down and it will dig it up. Simple. The first costume we are gonna grab is the White Jammies. This costume can be found near the Ecological Research area in the Tradeyard section of Astera. 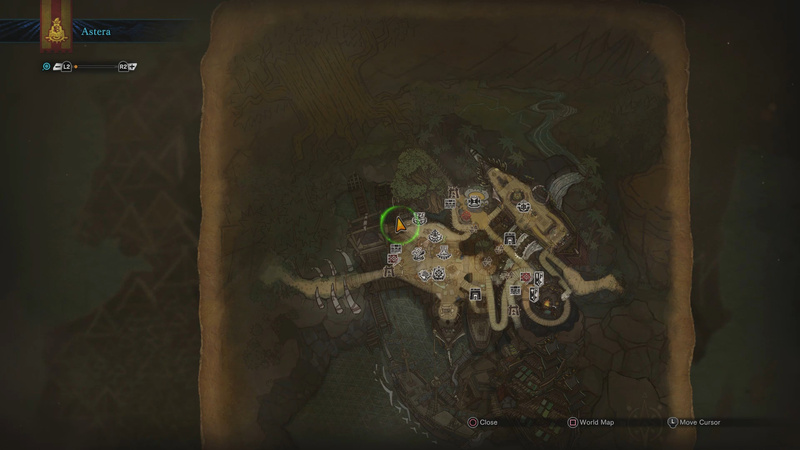 Pick up your Poogie and head to the fossil to the left of the Ecological Research area (when facing it). Here you will find the White Jammies set. See gallery below for exact location. The second costume is located near the ancient tree beside the right Scoutfly lamp. 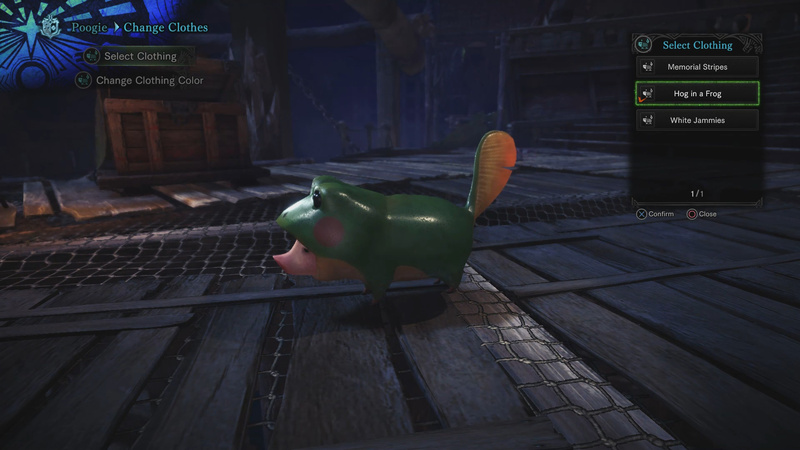 Set your Poogie down beside the lamp to receive the Hog in a Frog costume. See map below for exact location. 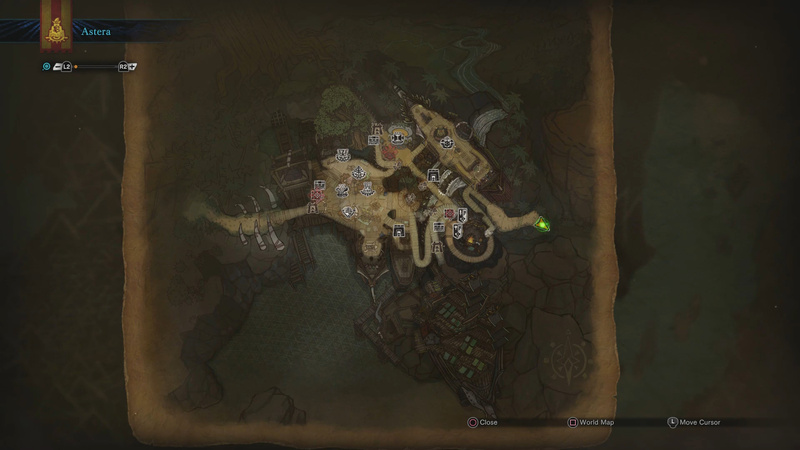 Head up to the council area and make your way to the white flag. Here you will find the Apprentice Fiver set. See map and image below for exact location. 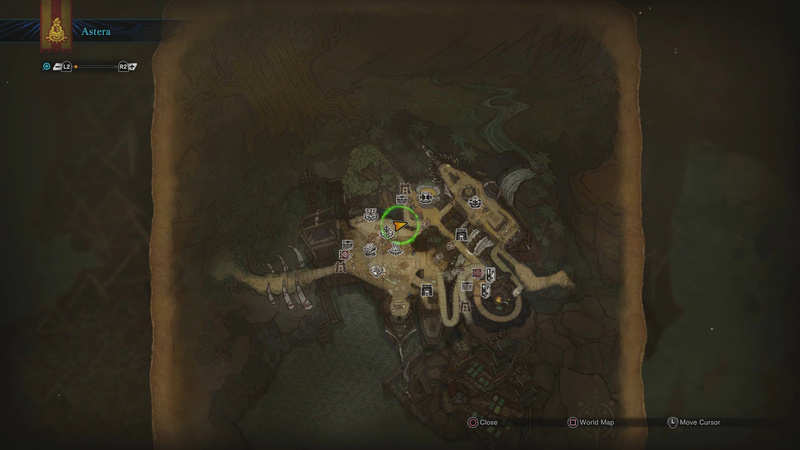 Make your way to the viewing platform area above the Workshop. 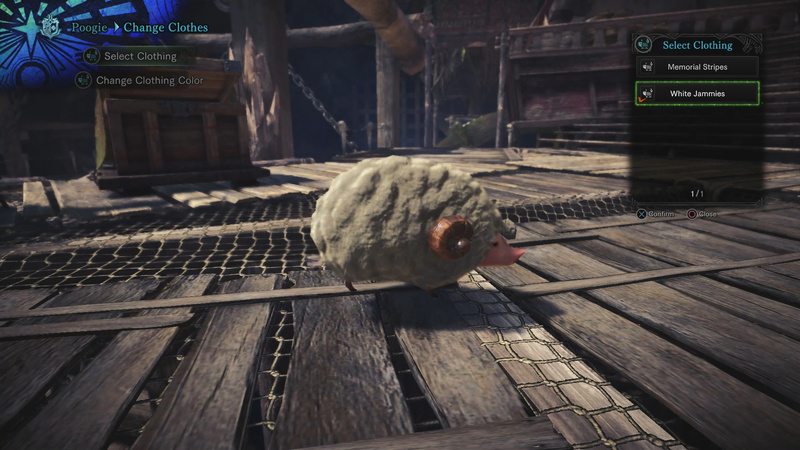 Place your Poogie down on the platform to find the Emperor’s New Duds set. See images below for exact locations. There you have it. 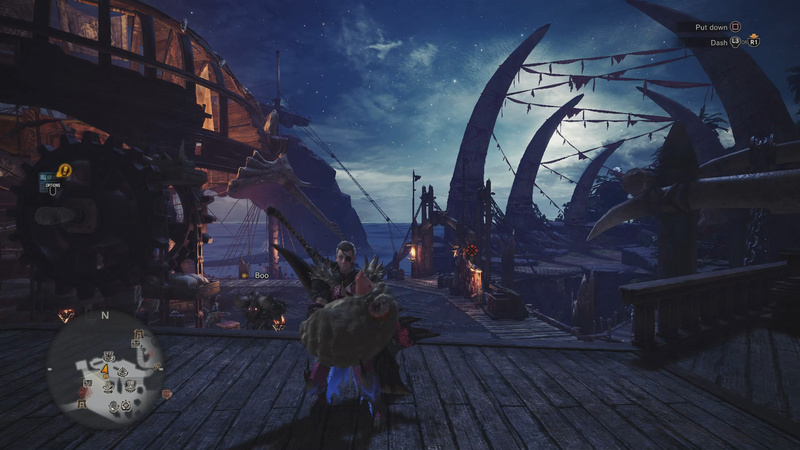 All the Poogie costume locations in Monster Hunter World. Each costume can be colored like armor, so you have a lot of flexibility in making them look exactly as you want. Get out there and grab the costumes! Which Poogie Costume do you like the best? Let me know in The Pit below.